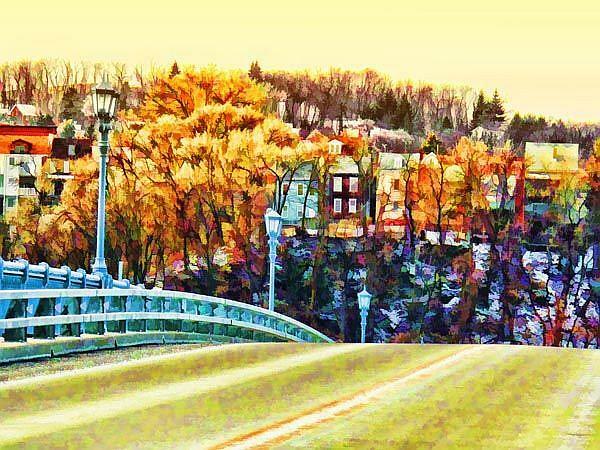 This image was created from a photograph taken while visiting in Pittsburgh. It is one of my Cityscape series. It was layered and worked on in Photoshop to create the final image. 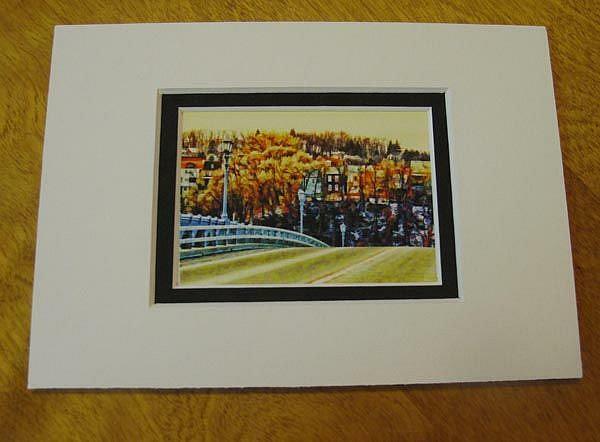 I really liked the view of a typical Pittsburgh hillside neighborhood and how the bridge leads your eye to it. 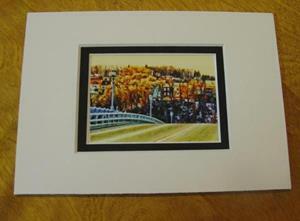 Detail image shows this picture sized 2.5x3.5 and double matted.